This section is a comprehensive guide for development of Kurento itself. The intended reader of this text is any person who wants to get involved in writing code for the Kurento project, or to understand how the source code of this project is structured. If you are looking to write applications that make use of Kurento, then you should read Writing Kurento Applications. The code is written in C and C++ languages. The code style is heavily influenced by that of Gtk and GStreamer projects. CMake is the build tool of choice, and is used to build all modules. Source code is versioned in several GitHub repositories. The officially supported platforms are Long-Term Support (LTS) versions of Ubuntu: Ubuntu 16.04 (Xenial) and Ubuntu 18.04 (Bionic) (64-bits only).  The GStreamer multimedia framework sits at the heart of Kurento Media Server. In addition to GStreamer, KMS uses other libraries like boost, jsoncpp, libnice, etc. Kurento source code is stored in several GitHub repositories at https://github.com/Kurento. Each one of these repositories has a specific purpose and usually contains the code required to build a shared library of the same name. As the dependency graph is not strictly linear, there are multiple possible ways to order all modules into a linear dependency list; this section provides one possible ordered list, which will be consistently used through all Kurento documents. KMS depends on several open source libraries, the main one being GStreamer. Sometimes these libraries show specific behaviors that need to be tweaked in order to be useful for KMS; other times there are bugs that have been fixed but the patch is not accepted at the upstream source for whatever reason. In these situations, while the official path of feature requests and/or patch submit is still tried, we have created a fork of the affected libraries. kurento-module-creator: It is a code generation tool for generating code scaffolding for plugins. This code includes KMS code and Kurento client code. It has mainly Java code. kms-cmake-utils: Contains a set of utilities for building KMS with CMake. kms-jsonrpc: Kurento protocol is based on JsonRpc, and makes use of a JsonRpc library contained in this repository. It has C++ code. kms-core: Contains the core GStreamer code. This is the base library that is needed for other libraries. It has 80% C code and a 20% C++ code. kms-elements: Contains the main elements offering pipeline capabilities like WebRtc, Rtp, Player, Recorder, etc. It has 80% C code and a 20% C++ code. kms-filters: Contains the basic video filters included in KMS. It has 65% C code and a 35% C++ code. kurento-media-server: Contains the main entry point of KMS. That is, the main() function for the server executable code. This program depends on libraries located in the above repositories. It has mainly C++ code. KMS is distributed with some basic GStreamer pipeline elements, but other elements are available in form of modules. These modules are demos of what third party modules could be written and integrated into Kurento. These are just for instructional purposes, and shouldn’t be used in production servers. This repository is an special project because it is designed to build all KMS Main repositories from a single entry point. This repo brings the other KMS Main repositories as Git submodules: it makes KMS development easier because if you build this project, you don’t need to manually install the libraries of the other KMS Main repositories. However, all other development and support libraries must still be installed manually. A KMS developer must know how to work with KMS Fork and Main repositories and understand that each of these have a different development life cycle. The majority of development for KMS will occur at theK MS Main repositories, while it’s unusual to make changes in Fork repositories except for updating their upstream versions. KMS is a C/C++ project developed with an Ubuntu system as main target, which means that its dependency management and distribution is based on the Debian package system. It is not a trivial task to configure the compiler to use a set of libraries because a library can be composed of several .so and .h files. To make this task easier, pkg-config is used when compiling programs and libraries. In short: when a library is installed in a system, it registers itself in the pkg-config database with all its required files, which allows to later query those values in order to compile with the library in question. In a Debian/Ubuntu system, development libraries are distributed as Debian packages which are made available in public package repositories. When a C or C++ project is developed in these systems, it is usual to distribute it also in Debian packages. It is then possible to install them with the command apt-get install, which will handle automatically all the package’s dependencies. bin package: Package containing the binary files for the library itself. Programs are linked against them during development, and they are also loaded in production. The package name starts with lib, followed by the name of the library. dev package: Contains files needed to link with the library during development. The package name starts with lib and ends with -dev. For example: libboost-dev or libglib2.0-dev. dbg package: Contains debug symbols to ease error debugging during development. The package name starts with lib and ends with -dbg. For example: libboost-dbg. doc package: Contains documentation for the library. Used in development. The package name starts with lib and ends with -doc. For example: libboost-doc. src package: Package containing the source code for the library. It uses the same package name as the bin version, but it is accessed with the command apt-get source instead of apt-get install. There are several tools for building C/C++ projects: Autotools, Make, CMake, Gradle, etc. The most prominent tool for building projects is the Makefile, and all the other tools tend to be simply wrappers around this one. KMS uses CMake, which generates native Makefiles to build and package the project. There are some IDEs that recognize CMake projects directly, such as JetBrains CLion or Qt Creator. A CMake projects consists of several CMakeLists.txt files, which define how to compile and package native code into binaries and shared libraries. These files also contain a list of the libraries (dependencies) needed to build the code. To specify a dependency it is necessary to know how to configure this library in the compiler. The already mentioned pkg-config tool is the standard de-facto for this task, so CMake comes with the ability to use pkg-config under the hood. There are also some libraries built with CMake that use some specific CMake-only utilities. Install build dependencies: tools like GCC, CMake, etc., and KMS development libraries. Build with CMake and Make. Run the newly compiled KMS. --recursive and --remote are not used together, because each individual submodule may have some other submodules that are intended to be loaded in some specific commit, and we don’t want to update those with upstream’s latest changes. You can also set REF to any other branch or tag, such as REF=6.7.1. This will bring the code to the state it had in that version. CMake accepts the following build types: Debug, Release, RelWithDebInfo. So, for a Release build, you would run TYPE=Release instead of TYPE=Debug. If your cmake command fails, make sure you don’t have multiple build directories below kms-omni-build or any of its subdirectories. We have seen that having multiple build dirs can cause issues, so it’s better to only have one. If you want to work with multiple build dirs at the same time, it’s better to just work on a separate Git clone, outside the kms-omni-build directory. -DENABLE_ANALYZER_ASAN=ON  # Enable the AddressSanitizer (aka ASan) memory error detector. Implies ``CMAKE_BUILD_TYPE=Release``. You can set the logging level of specific categories with the option --gst-debug, which can be used multiple times, once for each category. Besides that, the global logging level is specified with --gst-debug-level. These values can also be defined in the environment variable GST_DEBUG (see Debug Logging). KMS uses the Check unit testing framework for C (https://libcheck.github.io/check/). To build and run all tests, change the last one of the build commands from make to make check. All available tests will run, and a summary report will be shown at the end. It is recommended to first disable GStreamer log colors, that way the resulting log files won’t contain extraneous escape sequences such as ^[[31;01m ^[[00m. Also, it could be useful to specify a higher logging level than the default; set the environment variable GST_DEBUG, as explained in Logging levels and components. To leave the system in a clean state, remove all KMS packages and related development libraries. Run this command and, for each prompted question, visualize the packages that are going to be uninstalled and press Enter if you agree. This command is used on a daily basis by the development team at Kurento with the option --yes (which makes the process automatic and unattended), so it should be fairly safe to use. However we don’t know what is the configuration of your particular system, and running in manual mode is the safest bet in order to avoid uninstalling any unexpected package. # Run a loop over all package names and uninstall them. This workflow has the easiest and fastest setup, however it also is the slowest one. To make a change, you would edit the code in the library, then build it, generate Debian packages, and lastly install those packages over the ones already installed in your system. It would then be possible to run KMS and see the effect of the changes in the library. This is of course an extremely cumbersome process to follow during anything more complex than a couple of edits in the library code. The other work method consists on changing the system library path so it points to the working copy where the fork library is being modified. Typically, this involves building the fork with its specific tool (which often is Automake), changing the environment variable LD_LIBRARY_PATH, and running KMS with such configuration that any required shared libraries will load the modified version instead of the one installed in the system. This allows for the fastest development cycle, however the specific instructions to do this are very project-dependent. For example, when working on the GStreamer fork, maybe you want to run GStreamer without using any of the libraries installed in the system (see https://cgit.freedesktop.org/gstreamer/gstreamer/tree/scripts/gst-uninstalled). You can easily create Debian packages for KMS itself and for any of the forked libraries. Packages are generated by a Python script called compile_project.py, which can be found in the adm-scripts repository, and you can use it to generate Debian packages locally in your machine. Versions number of all packages are timestamped, so a developer is able to know explicitly which version of each package has been installed at any given time. (Optional) Make sure the system is in a clean state. The section Clean up your system explains how to do this. (Optional) Add Kurento Packages repository. The section about Dependency resolution explains what is the effect of adding the repo, and the section Add Kurento repository explains how to do this. flex will be automatically installed by GStreamer, but for now a bug in package version detection prevents that. libcommons-validator-java seems to be required to build gstreamer (it failed with lots of errors from jade, when building documentation files). subversion (svn) is used in the Python build script (compile_project.py) due to GitHub’s lack of support for git-archive protocol (see https://github.com/isaacs/github/issues/554). If the dependency is already available to apt-get from the Kurento Packages repository, it will get downloaded and installed. This means that the dependency will not get built locally. If the dependency is not available to apt-get, its corresponding project will be cloned from the Git repo, built, and packaged itself. This triggers a recursive call to compile_project.py, which in turn will try to satisfy all the dependencies corresponding to that sub-project. It is very important to keep in mind the dependency resolution mechanism that happens in the Python script, because it can affect which packages get built in the development machine. If the Kurento Packages repository has been configured for ``apt-get``, then all dependencies for a given module will be downloaded and installed from the repo, instead of being built. On the other hand, if the Kurento repo has not been configured, then all dependencies will be built from source. This can have a very big impact on the amount of modules that need to be built to satisfy the dependencies of a given project. The most prominent example is kurento-media-server: it basically depends on everything else. If the Kurento repo is available to apt-get, then all of KMS libraries will be downloaded and installed. If the repo is not available, then all source code of KMS will get downloaded and built, including the whole GStreamer libraries and other forked libraries. Check if all development dependencies for the given module are installed in the system. This check is done by parsing the file debian/control of the project. If some dependencies are not installed, apt-get tries to install them. For each dependency defined in the file .build.yaml, the script checks if it got installed during the previous step. If it wasn’t, then the script checks if these dependencies can be found in the source code repository given as argument. The script then proceeds to find this dependency’s real name and requirements by checking its online copy of the debian/control file. Every dependency with source repository, as found in the previous step, is cloned and the script is run recursively with that module. When all development dependencies are installed (either from package repositories or compiling from source code), the initially requested module is built, and its Debian packages are generated and installed. Create a .build.yaml file in this repository, listing its project dependencies (if any). Add dependency to debian/control in the project that uses it. Add dependency to CMakeLists.txt in the project that uses it. Work on your changes, which may include changing the KMS files where the Kurento API is defined. At this point, the new Java packages have been generated and installed in the local repository. Your Java application can now make use of any changes that were introduced in the API. Sometimes the GStreamer fork doesn’t compile correctly. Try again. Some unit tests can fail, especially if the storage server (which contains some required input files) is having connectivity issues. If tests fail, packages are not generated. To skip tests, edit the file debian/rules and change -DGENERATE_TESTS=TRUE to -DGENERATE_TESTS=FALSE -DDISABLE_TESTS=TRUE.